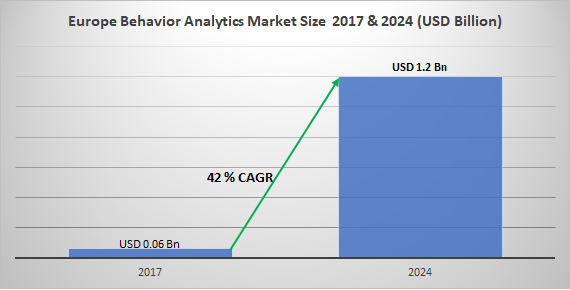 Europe Behavior Analytics Market size in 2016 was estimated to be over USD 60 million and is anticipated to grow at a CAGR of about 42% over the forecast timespan. Europe behavior analytics market is driven by the lack of trained cyber security professionals. According to a study conducted by Center for Cyber Safety and Education, Europe will face a shortage of 350, 000 cybersecurity professionals by 2022. This shortage in cybersecurity skills personnel has resulted in an increased workload for the cyber security employees, leaving with the inability to fully exploit the existing cyber security technologies. This has led businesses to bolster their defenses through the adoption of various security platforms, fostering the market growth. The low adoption of behavior analysis solutions among SMEs due to budget constraints and lack of awareness regarding advanced cyber security software is the primary factor limiting the market growth in the region. The BFSI sector is estimated to account for more than 20% share in the Europe behavior analytics market. The financial service industry has witnessed a surge in the insider attacks due to its greater vulnerability to phishing attacks and employee’s inability to identify such attacks. This has driven various financial establishments to adopt advanced security solutions to protect its sensitive data from malicious acts. 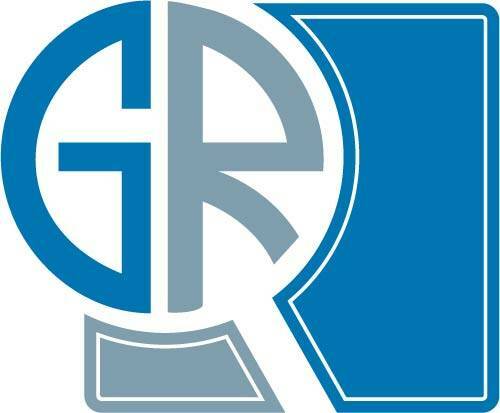 Solutions market is the dominating component of the behavior analysis market in Europe with over 72% share in the revenue in 2016. The growth in the market can be attributed to the increasing number of insider threats across various business verticals. These solutions help in mitigating the insider threats by identifying irregular behavior around high-value data. They provide oversight over the user activity to maintain security over data and valuable assets. Germany is leading the Europe market as it is the source of more than 22% of revenue in 2016. The market is driven by a high level of awareness regarding various security issues and advanced security solutions. Furthermore, a vast majority of German businesses do not use unsanctioned applications and solutions, which have further nurtured the market growth. The high budgetary allocation by organizations to implement advanced security solutions and educate employees regarding the security threats is driving the market growth. The behavior analytics market ecosystem comprises application developers, software designers, mobile security, cloud service providers, system integrators, managed services providers, and application developers. The major players in the market are Antigena, Arctic Wolf Networks, Awake Security, Aruba, Darktrace Enterprise, Lumeta, SecBI, Exabeam, Immune System, Lifecycle Management, Acework, Lastline, and LogRhythm. These organizations are working on forming strategic collaborations with other expert players and government organizations to increase its market share in the region. For instance, Darktrace partnered with the UK government to develop and deploy an enterprise immune system to protect critical public services and sensitive data.